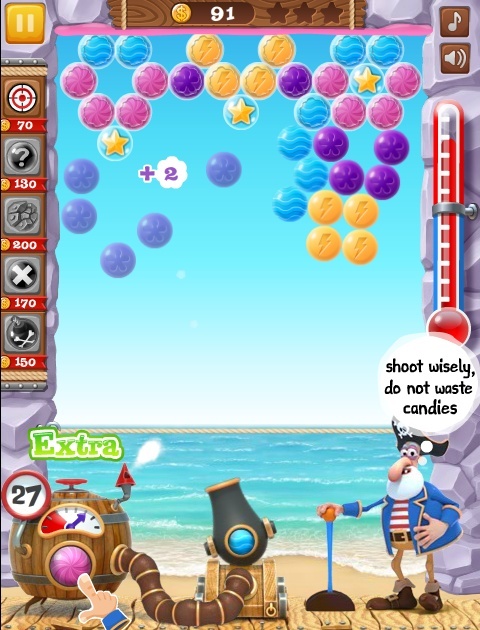 Shooting Match 3 Puzzle Action Android Click to find more games like this. 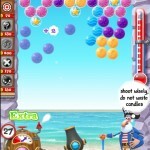 Man the cannons and warm up those fingers, because Bubble Shooter Archibald the Pirate has been released! It's a match-3 marble popper game from Akkad and Avox Games with a unique physics twist. 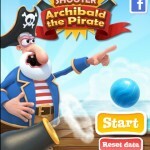 Archibald needs you to help fire the colorblind friendly marbles to clear the screen before you run out of ammo. 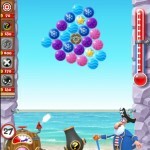 If you notice Archibald looks a little familiar, then you've probably played the hit game also from Avox, Frozen Candy. 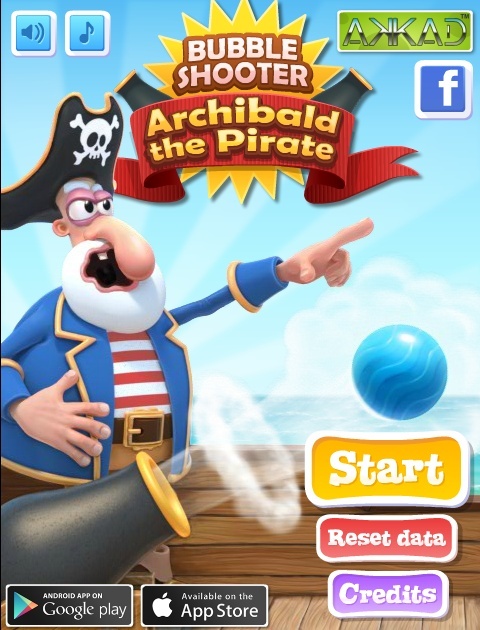 While a lot of things are similar, with some levels having the balls frozen into place until the temperature rises, Bubble Shooter Archibald the Pirate has new surprises of its own. 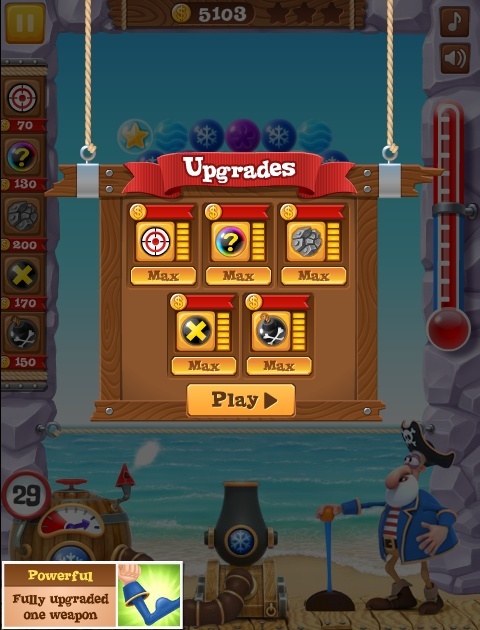 Special cannonballs you can buy to help when you're in a tight spot, plenty of levels each with their own challenge, and probably the best, a mobile version, both iOS and Android compatible so you can enjoy even on the go. 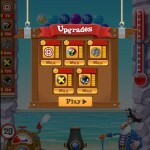 Oh and it's all free, with no impossible levels that make you pull out your wallet to beat. and ads that are rare enough and so non-intrusive you'll forget the game even has them. 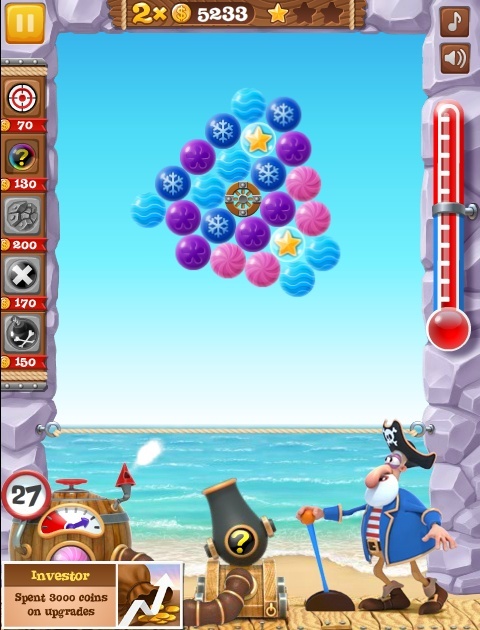 Throw in the beautiful backgrounds and an adorable pirate with his own personality and you've got yourself one fantastic game.